Don’t just stick to the Golden Circle and South Coast. You may see some great sights, but you’ll spend a lot of time in lines and waiting for people to get out of your pictures. To see a side of Iceland fewer travelers see, spend some time in Snaefellsnes, the Westfjords, or the North of the country. You’ll appreciate more of Iceland’s beauty and culture than you can by sticking to the most-visited areas. Below is a breakdown of the various regions of Iceland along with their top sights and activities. Each area has many more hidden gems, but here are the highlights to get you started. Can't decide where to spend your time? See it all by following our guide to Iceland's Ring Road in 2 weeks. 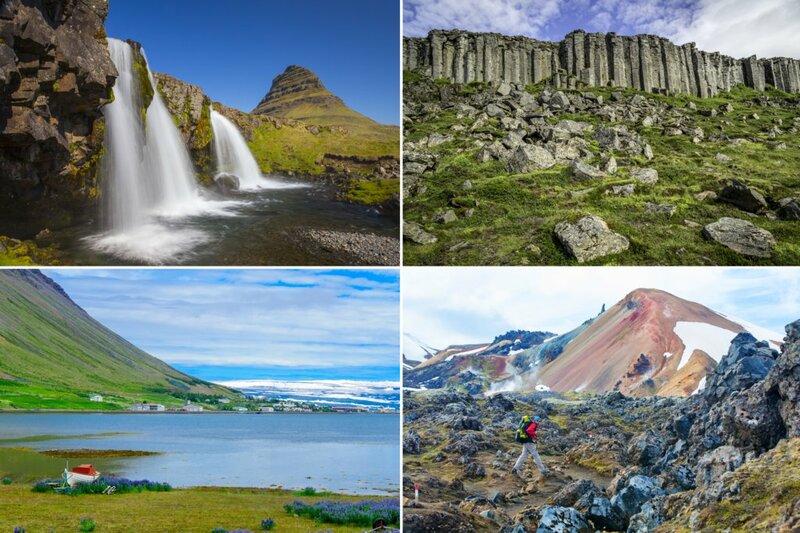 Best For: Volcanic formations and cliffs (known as "Little Iceland" as it has a little bit of everything), impressive waterfalls and saga towns. 1 hour north of Reykjavik the crowds thin and you can experience the remoteness of Iceland. Hike 2 hours to Glymur waterfall, offering amazing views from the top. Learn about Iceland’s settlement history in small towns and at the Settlement Center in Borgarnes. Snaefellsnes Peninsula is sometimes referred to as “little Iceland”, because here you can find a little bit of everything that Iceland has to offer: amazing Basalt columns, tiny fishing villages, coastal cliff walks past arches and other rock formations, lava fields, volcanic craters, black sand beaches, waterfalls, lava caves, and more. How to get here: Drive 1.5 hours north from Reykjavik along Route 1 to Route 54. Escape to the Westfjords, one of the most remote parts of Iceland where few tourists visit. Slow down and enjoy a couple days enjoying dramatic fjord landscapes where tiny fishing villages sit along calm fjords, with flat mountains towering above. See the best birdlife at Látrabjarg Bird Cliffs and Hornstrandir Natural Preserve. Picnic near massive Dynjandi falls in a picturesque fjord setting. Make Isafjordur your base and spend your days kayaking the fjords. Or take a boat to Hornstrandir Natural Preserve for a 1-7 day hiking experience you will never forget. Lake Myvatn’s otherworldly lava fields, rock formations, geothermal steam vents and mud pits, ice caves, and volcanic craters. The North has it all: incredible waterfalls, geothermal wonders, volcanic craters and lava fields, caves, relaxing nature baths, great restaurants and nightlife, and the best whale watching in Iceland. And everything is within 1-2 hours of driving! Akureyri is only 4.5 hours from Reykjavik by car, making it a great alternative to the more crowded south, with the sights more concentrated. If you’re short on time, consider a 45-minute domestic flight over the majestic highlands (beautiful by plane) and spend 1-2 days before flying back. You can spend several days hiking around Dettifoss and Asbyrgi Canyon, or get a bit more off the beaten path with some cliff-side walks and explore more of the remote northeast of Iceland. How to get here: 4.5-hour drive from Reykjavik, or 1-hour domestic flight. Djúpivogur: tiny fishing town with a lighthouse walk, Papey island ferry, and great fish meals at Framtíð. Hofn: Vatnajokull National Park visitor center, great views of Vatnajokull Glacier, top lobster restaurants. Best for: calm, quite fjord landscapes, scenic small villages. The vast majority of Iceland tourists don’t make it out of the Golden Circle and south coast, and even fewer continue past Jokulsarlon Glacier lagoon to the East Fjords. If you’re looking for a quiet escape and to surround yourself with beauty, come to the East Fjords. This region is also more accessible than the Westfjords, as many highlights are less than 1 hour off the ring road. If you’re driving the entire Ring Road, save a few days for this area or you’ll really be missing out. Spend some time in Borgarfjörður Eystri, an isolated community with hiking trails leading from the valley up into the mountains. During early summer, you may also spot some puffins in the area. Walk around the sound sculptures and street art at Seydisfjordur, or hike past many waterfalls up the side of the fjord. Kayak through the fjords or even take a ferry to the Faroe Islands or Denmark (a couple days journey). Skip this section of Route one and take the scenic Routes 92 and 96 where you will wind around mountains and around the tips of the fjords. Djúpivogur makes for a great overnight or a stop to break up a long drive, where you can walk around the harbor or out to the tiny lighthouse at the point. Or take a boat to Papey Island where you are likely to see seals and puffins. How to get here: 6-hour drive along the south coast from Reykjavik; 2 hours from Lake Myvatn. Or a 1-hour domestic flight from Reykjavik to Egilsstadir. Iceland’s south coast is by far its most popular area. People come for the impressive waterfalls, black sand beaches, strange canyons, glaciers and glacial lagoon, and to see the quaint towns of Vik, Hof, and others. All of this lies within 1 days drive from Reykjavik. While you will have plenty of top-tier sights to see in the South, you will also experience crowds, long lines, and lots of other people. Parking is limited and the only road is the one lane Route 1, which can be filled with cars. If you can, consider spending time in the other areas of Iceland, each with their own hidden gems, and see the sights on the south once you’ve already experienced the true Iceland experience. How to get here: 2-hour drive from Reykjavik to Vik, 4.5 hours to Jokulsarlon. Or fly into Egilsstadir and drive from east to west. Best for: volcanic landscapes, remote hikes, hidden geothermal areas. Iceland’s interior is by far its most rugged area. The terrain can be tough, and the F-roads are only accessible by jeeps with 4WD (in Winter, only by modified “super jeeps”). But the increased difficulty level means you will have the place to yourself, as few tourists reach the highlands. Here you will find some of the best hiking destinations: the red and orange volcanic landscapes at Landmannalaugar, strange canyons and other-worldly landscapes at þórsmörk (Thorsmork, “Thor’s Valley”), and some of the top geothermal areas at Hveradalir Geothermal Area where you can wander through the hills walking past steam vents and mud pools. Continue reading more about the highlights of Iceland's highlands region. Best for: "Big city" experience, quick trips and overviews. No trip to Iceland is complete with at least 1 day in Reykjavik exploring “big city life” in the nation’s capital city. Take the elevator to the tower at Hallgrimskirkja church for a great overview of the city and panoramic views of the area. Walk along the water past the Sun Voyager Sculpture and to the Harpa Cultural Center with its unique architecture. Walk around the harbor or join a whale watching tour. Spend a cold or rainy day learning about Iceland’s history at the Settlement Exhibition or the National Museum of Iceland. Snack on a world famous hot dog at Bæjarins Beztu Pylsur or hop between cafes. In the evenings enjoy a variety of top-tier fish restaurants and experience Reykjavik’s nightlife scene. Most visitors spend a day touring the Golden Circle route. The roads and sights are Iceland’s most popular and most crowded. If you want to make the trip, consider spending a night along the route near Gullfoss or Reykholt to get an easy start before the crowds arrive. Hike around Thingvellir National Park, or snorkel between two continents where the tectonic plates meet. Visit historical Law Rock where chieftains from all over the country met once a year to discuss laws and issues. Walk among steam vents and hot pools at the Geysir geothermal area, where Strokkur geyser erupts like clockwork, and stand in awe of Gullfoss (“Golden Falls”) one of the most impressive waterfalls in the country. Iceland is quickly becoming one of the top places on many traveler bucket lists, and for good reason. 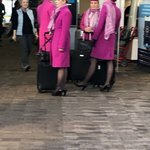 Tourism is increasing 20-30% each year and won't stop anytime soon. It's tough for hotels and attractions in the popular areas to keep up with the increased demand each year, which can mean longer lines and more traffic. This is a great time to explore the Snaefellsnes Peninsula, Westfjords, North and East Fjords before the secret's out and more people start exploring further afield. Thank you so much to the KimKim team for putting together such an amazing vacation for us. Everything was customized to exactly what we wanted. An extra special thanks for working with us through our 2-day flight cancellation/travel delay issues!